Our weekend mornings often start earlier than we, as the parents of the household, would like, but we try to make the most of them by getting outside. We frequently head on foot or by subway to nearby Chinatown and the Lower East Side, where we can watch the quieted city wake and start its day. Typically, we stop by a park to play on the playground, first picking up breakfast (often bialys or doughnuts), and coffee. 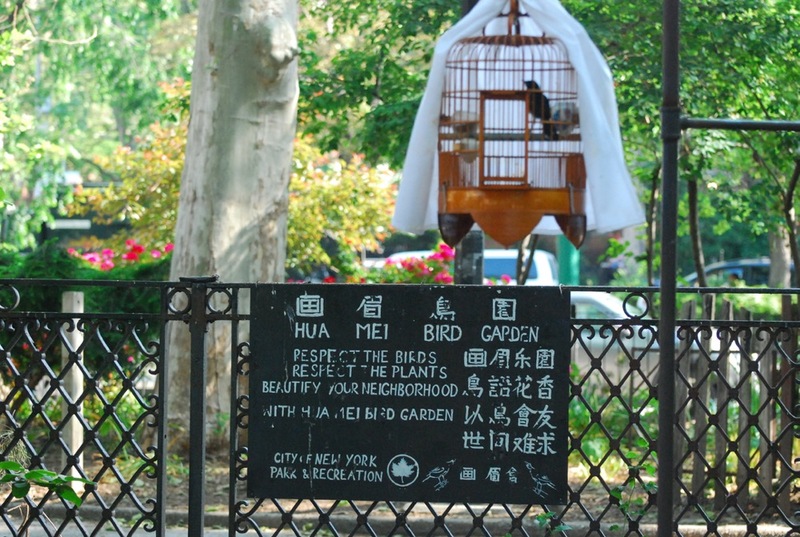 To that routine this past weekend we added a new destination: the Hua Mei Bird Garden. 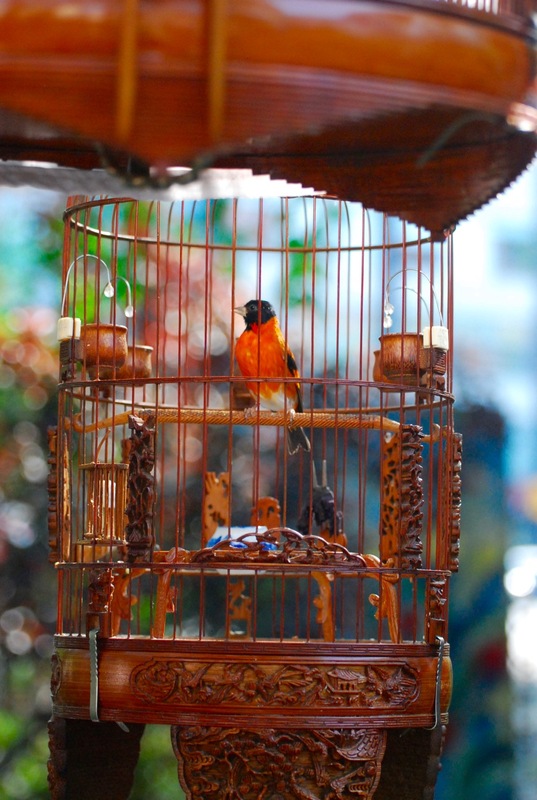 For centuries a common pastime in China, the practice of raising songbirds and taking them to enjoy time outside helped lead to the creation of the garden, which the city recognized in 1995. Gathering here is a social event, both for the older Chinese men who bring their cherished pets, but also for the birds themselves. 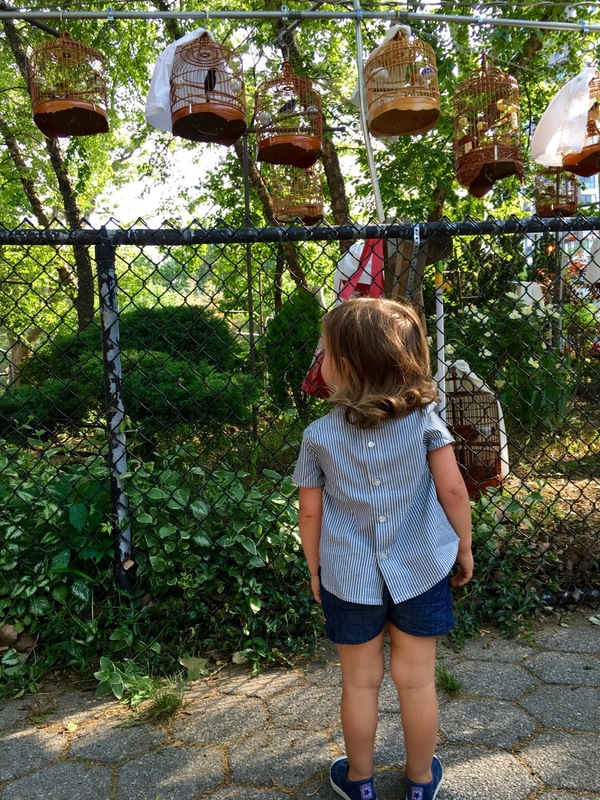 From a full block away we could hear the pleasing chatter of the songbirds over the sound of traffic, and arriving at the garden we saw 20 or more highly ornamental cages hanging from racks and placed on the ground, each containing a single beautiful bird. Some of the cages still had their white cotton covers clipped closed, but most were open, showcasing the birds hopping about as they sang. 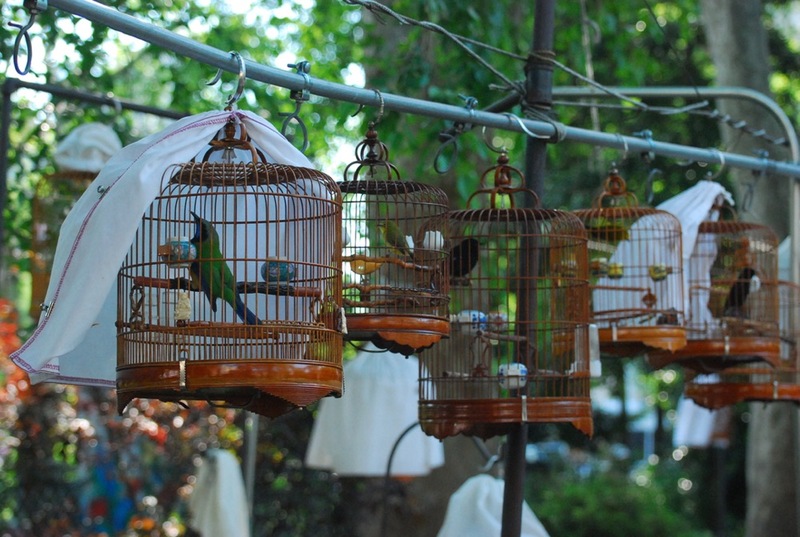 The birds’ owners stood along the row of cages, drinking coffee and talking, listening to the repertoire of songs performed by each bird. 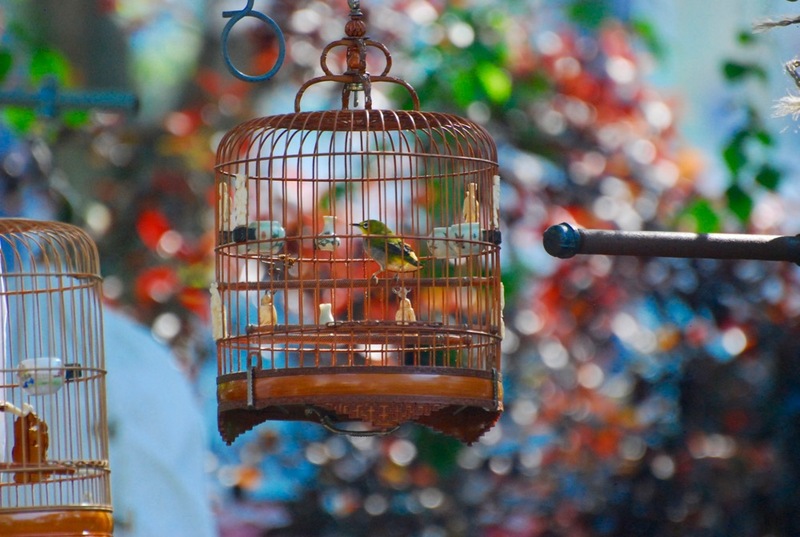 At times one cage or another would be moved to bring certain birds in closer proximity to one another, and the birds really seemed to interact. My daughter was fascinated by the whole scene, drawn as much by the brightly-hued plumage of the birds as the sounds they made. We didn’t stay long, but the garden, and the ritual it helps preserve, were lovely reminder of the rich traditions held by the many communities who call New York home. Hi! Thanks for your post, do you know if they still organize this in Fall and Winter? Or if they just have it in Summer? I have an assignment from my campus to interview the organizers but need to do it this month. Your reply will be so much appreciated. Thanks! Hi Rifda – I can’t say for certain as we’ve only stopped by in the warmer months, but my guess is that maybe it’s too cold out now for the birds? If you go and they’re there, let me know!